HRSG’s are used for recovery of waste heat from gas turbines exhaust gas from boilers and refinery operations, this wasted heat, usually vented to the atmosphere can be turned into steam and used to greatly reduce energy costs for operation. HRSG’s can be individually designed for the application and can, in most cases be retrofitted to the existing plant. 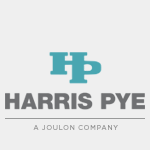 Harris Pye, a Joulon company, has designed, manufactured and installed many HRSG’s. With the center of their engineering excellence being based in Dubai, their skilled engineers are allowed global access for individual applications. The units are then manufactured at one of the group’s ISO and ASME accredited workshops. Harris Pye’s complete in-house capability enables clients from all industries to contract with one supplier for design, manufacture as well as installation and commissioning.